"Circumcision is a procedure to remove a functioning organ from a non-consenting minor. It's un-ethical and the benefits do not out weigh the risks." What does the CDC say about circumcision? What do other medical organizations think about the CDC's stance? Read these articles to gain some insight into the CDC. "First, is the obvious lack of scientific and scholarly rigor that went into preparing this draft." "We realize that CDC recommendations can influence some Canadians and are pleased to provide public comment on your draft recommendations concerning male circumcision." "Circumcision is a procedure to remove a functioning organ from a non-consenting minor. It's un-ethical and the benefits do not out weigh the risks. 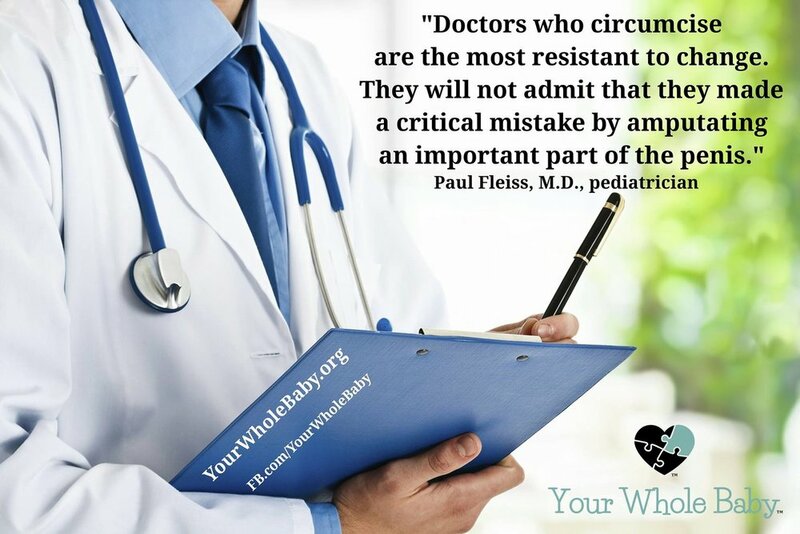 Where are the studies showing the infant mortality from circumcision? Also what about all the foreskin functions... why are they not included?" "Most basically, the CDC’s approach runs counter to the conventional bio-ethical (and legal) view that unnecessary surgeries, and especially those that remove non-diseased, functional tissue from an individual without his consent, are in and of themselves harmful."